Diversity in the workplace — specifically the tech workplace — has been thrust into the spotlight again by the Internet explosion over a Google engineer’s internal post questioning the level of science behind the company’s diversity initiatives. But even the skeptical Googler updated his memo with the opening line, “I value diversity and inclusion.” He should: thorough studies by corporate consultants McKinsey and financial services giant Morgan Stanley have found undeniable correlations between diverse teams and company success as measured in financial returns. The less diverse a company’s staff, the less profitable they are likely to be. 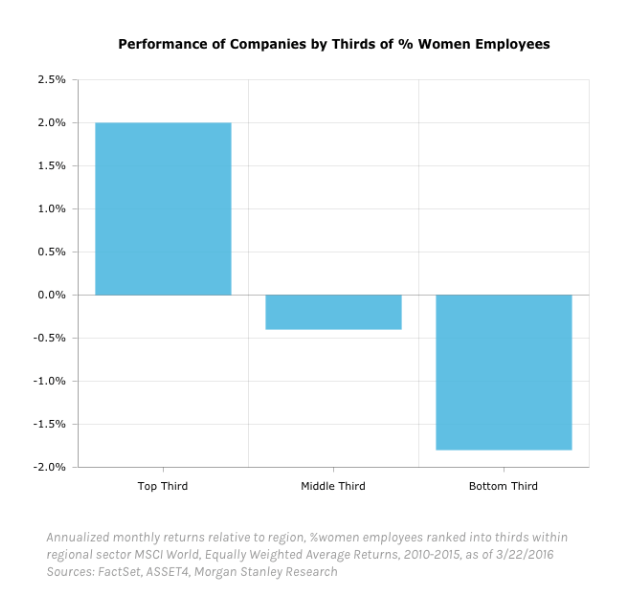 Morgan Stanley analysts ranked more than 1,600 stocks around the world with “a proprietary gender-diversity framework.” The results were plainly visible: Companies in the upper third of having the highest percentage of women employees were profitable, while those in the lower two-thirds actually lost money over time. 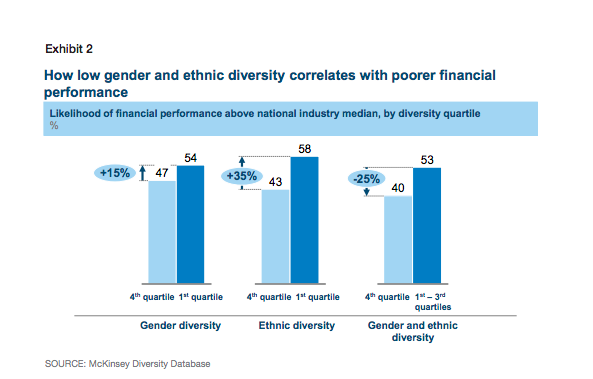 The McKinsey report’s conclusion: “A persuasive argument for diversity and equality can be anchored to the bottom line … Ensuring that more women are working and leading in the workplace is simply good business.” Its one caveat is that far more companies still don’t provide gender-related data, and that data is not standardized from company to company. But among the 1,600 for which data was available, the value of diversity didn’t need to be searched for. That’s solid evidence for diverse leadership, and a diverse company overall, but what about coders, and code-adjacent roles like product management? There aren’t any publicly-available studies on the dollar value of diversity in software engineering yet. But there are plenty of companies, from Slack to Salesforce, who claim their relatively high ratios of women in technical roles are a driver of their success as business. The most common argument against hiring more women into engineering is, bluntly, “Women just aren’t good at this.” Even the supposed “anti-diversity screed” at Google only claims that qualified women are harder to find. Those soft skills aren’t developed by spending one’s formative years alone at a keyboard. A Hackbright study of unfilled positions at Silicon Valley companies found that while senior coders are always in demand, the larger unmet need is for those with some engineering experience, but who are able to act on broad directives. 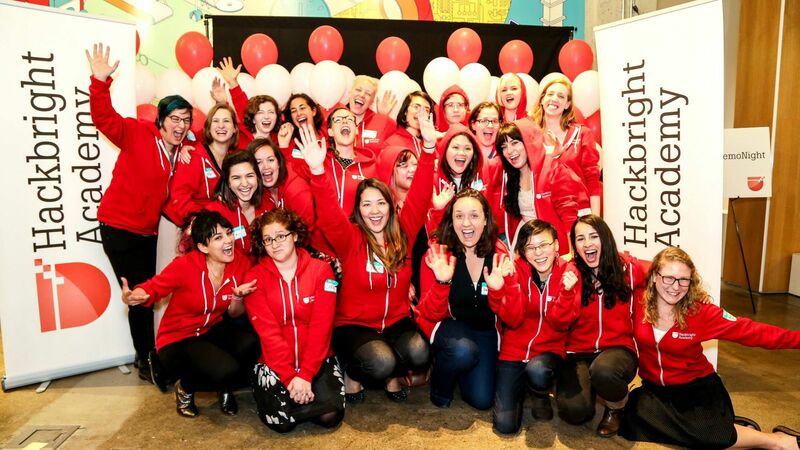 “That’s two and a half times more empty mid-level spots on the org chart,” former Hackbright CEO Sharon Wienbar wrote last year. Recruiters who stick to the safe traditional pipeline of candidates whose entire lives have been devoted to teenage hacking, computer science degrees, and a string coding jobs — for whatever reason, a male-dominated demographic — are limiting their options to people who are actually overqualified for many coding jobs, and quite possibly underqualified to grow into more senior roles. The result: More than 8,000 unfilled mid-level positions at tech companies in the Valley alone, many of those at companies which McKinsey’s study predicts will, without a commitment to diversity, lose money. Hackbright Academy’s approach is to avoid complaining about barriers and focus on opportunities — to give women with proven potential the specific coding skills they need, which don’t require four years in a computer science department. And to connect them with the companies that actively seek not only diversity, but inclusion. That’s an important difference ignored by headcounts of employee ratios: Do diverse hires feel they’re a welcome and equal part of the team? Diversity is a number HR can point to. Inclusion is something every member of the team needs to feel from within.